for $2,200,000 with 6 bedrooms and 6 full baths, 1 half bath. This 5,586 square foot home was built in 1994 on a lot size of 0.2202 Acre(s). Prime location behind the gates at Ocean Ranch. 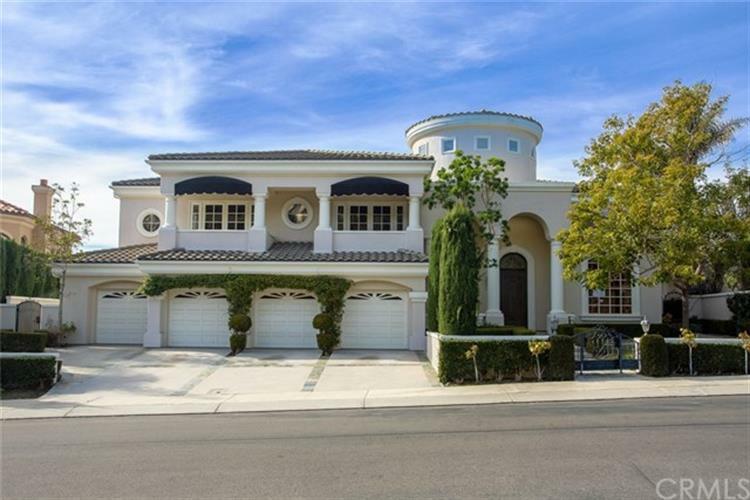 Your chance to live in one of South Orange County's premier guard gated communities just minutes from the beach! Enjoy stunning ocean views from this wonderful spacious 2 level home. This sprawling 6 bedroom home has it all. As you walk in you notice the wrought iron spiral staircase with vaulted ceiling featuring skylights for added natural light in the foyer. Office located downstairs with vaulted ceiling. Separate formal living room and family room, Formal dining room and kitchen eating area. Large family kitchen with center island and ocean views from your table. Large Pantry with second sink and second dishwasher, Viking stove, Media niche with extra cabinets in kitchen area to keep things tidy and clean. One bedroom with private bath downstairs. Upstairs are 5 additional bedrooms and a bonus room perfect for a movie room or pool table. Large Master with master retreat and fireplace and private bathroom and balcony. 3 additional balconies, one of which is a large patio with ocean views. Sparkling pool and patio area. Outside covered patio area with fireplace. Fruit trees and fountain. This property is an entertainers dream. Close to shopping, award winning schools, parks, fine dining and minutes from the St Regis and Ritz Carlton hotels. Bank of America, N.A. employees and employees' household members and HTS business partners of the Bank, are prohibited from purchasing this property, whether directly or indirectly.